Hito Steyerl (born 1966, Munich) is a German filmmaker, visual artist, and author in the field of essayist documentary video. Her principal topics of interest are media, technology, and the global circulation of images. Steyerl holds a Ph.D in Philosophy from the Academy of Fine Arts Vienna. 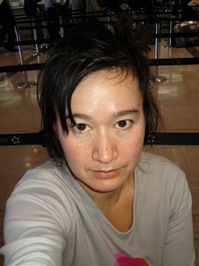 She is currently a professor of New Media Art at the Berlin University of the Arts.